JEROME — Eighth-graders at Heritage Academy in Jerome want to leave a legacy at their school: an adaptive playground accessible to students who have disabilities. So far, they’ve raised about $4,000 — mostly, by selling baked goods and crafts earlier this year at the Jerome Farmers Market. They hope to have the playground installed by the end of this school year. It’s a particularly relevant project for the public charter school, with about 170 students in kindergarten through eighth grades. That’s because about 25 percent of its students have a disability. Plus, the playground will be used by community members, too. Why are students interested in building a playground? “Because the little kids don’t have anything to play on,” said eighth-grader Callie Coelho, 13. 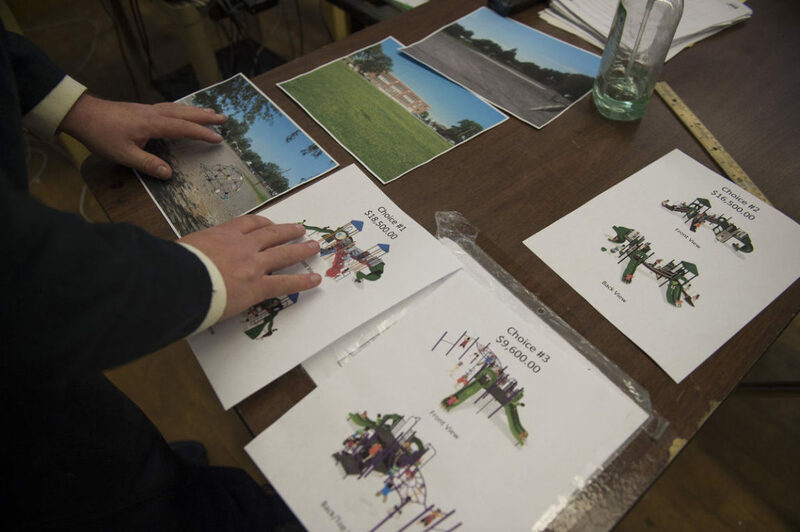 Eighth-graders put together three options for an adaptive playground. They haven’t made a final decision on which one to pursue, but costs start at $9,600. Students began working on the project at the beginning of the school year.